Does anyone really have an answer to that question? 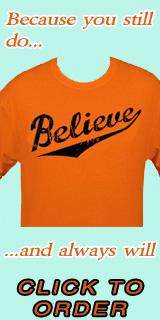 Everyone has a theory, but can anyone really say that any one of them will make the Orioles a competitive team in 2012? Yu Darvish is the latest Japanese superstar rumored to be on his way to America. The half-Iranian, half-Japanese Darvish will likely command a ridiculous posting fee to even begin negotiations. I don't see the Orioles doing that, so put it out of your minds. The Orioles are more likely to be involved with a free agent like Milwaukee Brewers first baseman Prince Fielder; though that is kind of like saying I have a better chance of winning $10,000 on a scratch-off as opposed to the grand prize of $1 million. Heath Bintliff wrote about the murkiness of the Orioles' starting rotation - well, murky doesn't begin to describe it. The Orioles really don't have a rotation right now. Brian Matusz is being skipped again; we have no word on Jim Johnson; Tommy Hunter just got out of the hospital; the only reliable starter the Orioles have right now is a kid named TBA, who shows up all the time. I am frankly out of words to describe this trainwreck of a season, and judging by the abysmal crowds at the Toronto series, most of the fans are out of patience. Looking back at this time last year the Orioles seemed to have finally turned a corner. Buck Showalter had brought energy, accountability and instant respect to this team and its fans. The Orioles were winning games they normally lost. The pitchers were pitching, the hitters were hitting and defenders were defending. Virtually every aspect of the game was going well. After their near historically bad start, the Orioles actually played .500 ball for the second half of last year. When thinking about how bad things were in the spring compared to the summer that .500 record becomes even more impressive.